The K-109 has been the workhorse of the KRL (Renauvan Air Force) for almost 40 years. 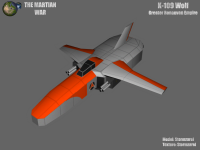 While originally designed as a high speed interceptor shortly after the end of the Third Martian War, versions of the K-109 have modified to suit other roles. Models currently in service are the D (anti-bomber/anti-fighter), E (reconniassance), F (ground attack), and G (Earth variant) variants. The newest variant, usable in the mod, is the K-109G. The G variant is specifically designed for combat in Earth's atmosphere, where higher atmospheric pressure and increased gravity make older versions of the fighter almost useless on Earth. This iteration has a re-designed fueselage and wings, though it still retains a shape similar to that of previous models. New to the G version, aside from its re-designed shape, are upgraded jet engines, which give it greater speeds in the atmosphere. These almost put it on par with the Yukavaran Federation's newest, highly fast and maneuverable fighters. The K-109G, like the D variant, carries two three-barreled machine guns, and it has hard points to mount up to four bombs or missiles. A heavier attack variant, the K-109H, is currently in development. 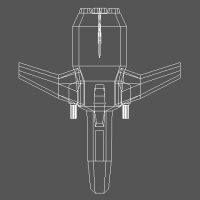 While it will be slower and less maneuverable, a longer wingspan will allow for eight hard points. It will also mount heavier machine guns. K-109s are space-capable, each with a single fusion rocket engine that is powerful enough to maintain orbital velocity and to adjust the orbit of the craft. 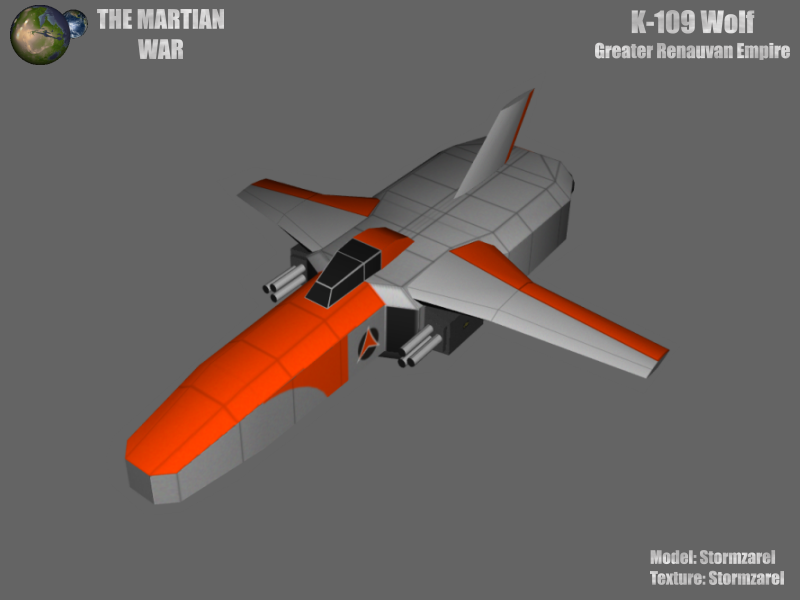 K-109 were designed to be storable aboard larger spacecraft, most notably the Ares-class, which is the primary carrier used by the Renauvan Navy. In the mod, the K-109G will be buildable at the airbase, though some will be buildable from other locations during campaign levels, such as landed captial ships.